Drip campaigns let you automate aspects of your business, allowing you to streamline your operations and increase your productivity. A drip campaign is a series of emails that are automatically sent out over a certain timeframe. These emails should progressively nurture your leads and encourage them to purchase your service or product. Drip campaigns are also great for providing a series of educational information about your business. GreenRope, for example, has a drip campaign that goes out to all new accounts. Our drip is a series of 10 emails that are sent over a period of two weeks explaining all the features of the system and how to best use them. The purpose of a drip campaign is to develop consistent customer experiences, which help you close more deals and retain your current clients. To effectively nurture leads and consistently engage with customers and clients, a business must first invest in an integrated CRM and marketing automation platform. Technology, in conjunction with your content and overall strategy, allows a business to successfully educate, inspire, and convert. Drip campaigns are like a book. They have a beginning, middle and an end. It takes time to plan, create, and schedule your messages; however, once this part is completed, executing drip campaigns is almost effortless. The first step in planning your campaign is targeting your audience. Easily identify and segment your audience using your CRM. Determining who receives your messages depends on what you are trying to accomplish. For example, if you are selling a sales tool, you may want to target a VP of Sales. Remember, different buyer personas need different types of content. Know who you are targeting before you build the content they receive. Leads that receive drips may also be added to a drip campaign via their behaviors such as filling out a sign up form on your website. If they entered their information to download your “Sales Best Practices” eBook, you might want to add them to a drip campaign that focuses on sales rather than marketing. If a VP of Marketing submits a form, you will want to add them to your marketing drip. Always know your audience. Having software with these capabilities is crucial, otherwise you are trying to lure a tiger in with a leaf of lettuce rather than a rib-eye steak. The second step is developing your messages. As previously mentioned, your campaign is a series of messages and each should build upon the last. 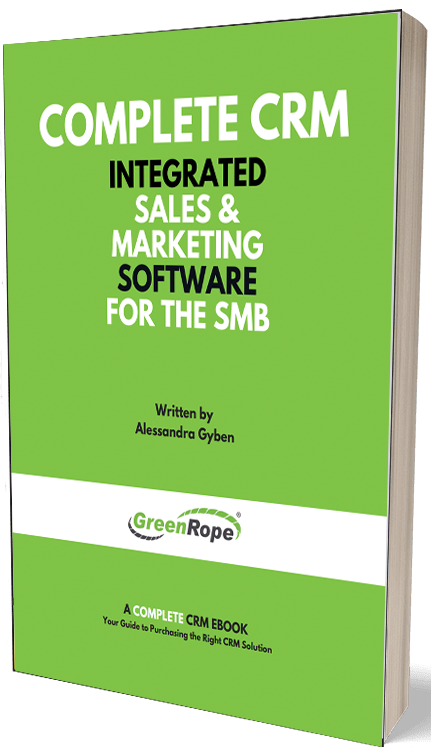 If the first message in the series was an introduction or Thank You for downloading a “Sales Best Practices” eBook, perhaps your next message includes a detailed explanation of a feature in your software that accomplishes what you outlined as a ‘best practice’ in sales. Offer valuable insight into how you can solve a problem, rather than selling your product or service. Remember, the messaging you develop should crescendo as you go along. The third step in drip marketing is deciding its frequency. You do not want to bombard your audience, but you do want to stay top-of-mind. The key is to track whether they have opened your previous message before you send out your next. Your goal is to hit each customer the right amount of times, at appropriate intervals, to effectively engage your recipients. Each email sent, is triggered by your recipient’s actions. This is all managed automatically within your marketing automation platform. You want to give your reader enough time to take in the content you sent them, but not enough time that it slips their mind. Typically, a few days in between each email is sufficient. However, testing the frequency with read rates or unsubscribes may be something worth trying to increase the efficiency of your drip campaigns. Your contact’s behavior is tracked in the CRM, allowing both sales and marketing to get a good idea of what content is working. It is also a great way of predicting where each lead is in the sales process. Once a lead has received, opened, and clicked through your series of messages, this is when they may be seen as ‘sales-ready’, or at least ready for a personal phone call inquiring about the content they received and if they found it useful. The fourth step is to track and measure your results. Are your recipients clicking on your links? Are they opening your newsletters, or opting out? Analyze the behaviors and actions associated with your drip campaign and make the appropriate changes. It is not very often that a business gets it right the first time, but as your audience is constantly evolving, so does your marketing. Implementing a successful drip campaign is not as difficult as it may seem, but it does take planning, creativity, and testing. So, how do you go about setting up your drip campaigns? Here are a few easy steps! First and foremost, what is the purpose of your drip campaign? Did your lead sign up on your website for more information about your company? Is the person receiving the drip already a customer and looking for educational information? Your drip can be whatever you like it to be, but you MUST have a goal in mind, as well as a target audience. Now that you have established a goal, it is time to create the emails and input all of your content. Go to the GreenRope Email Builder located under Communicate > Email. If you already have a template, then go ahead and pull that up. Create and save each email with a unique name so you remember which emails are in your drip campaign. A name such as “New Customer Drip #1” and so on, makes it easy to recognize each email when setting up your drip campaign. Choose your emails. Simply use the drop down and select from the emails you created in the email builder. Decide whether you would like to trigger a workflow when a particular message is sent out. For example, GreenRope has a follow up workflow triggered once the first email is sent out. To setup your workflows, please go to Automation > Workflow Manager. Add another message to your drip campaign. Note: You will want to create the drip campaign in the group that your leads/customers are in. Drip campaigns are group specific. So, there you have it, 3 simple steps to set up your drip campaigns. The hardest part is coming up with the content! Not a GreenRope user? Get a Live Demo today.